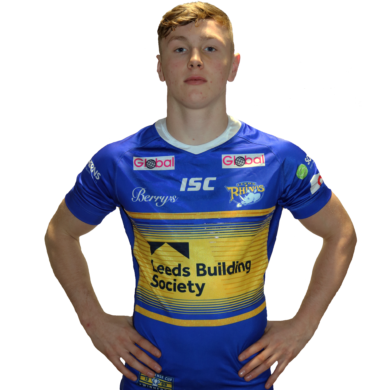 Huddersfield born, Harry joined the Rhinos Scholarship in 2014. He is a former pupil at Holmfirth High School and played for Newsome Panthers. He made his debut during the 2017 season against Wigan and was rewarded with more game time in 2018. He spent time on dual registration with Featherston eon 2018 where he was ins sensational form, scoring 16 tries in 12 games. As well as playing Rugby League Harry has also represented West Yorkshire in Rugby Union and Kirklees in Athletics. In 2013 he came second in the 300m in the Y10 Athletics Yorkshire Games. He was recently named in the England Youth side. His childhood hero was Jonny Wilkinson and apart from supporting the Rhinos he also follows West Ham. Harry’s ambition after he has finished playing rugby is to own business and he says the biggest influence on his career has been his dad. Warners Fish Merchants are based in Doncaster, South Yorkshire. We are the leading importers of Icelandic frozen at sea haddock and cod in the UK. The key to Warners success is its personal contact with its customers and its suppliers. Warners has a strong relationship with Iceland's biggest producer of frozen at sea products, HB Grandi. The close co-operation secures reliable supplies directly from the cool clear waters of Iceland to the fryer.